Replacing the floors in your clients’ home can quickly become one of the most expensive parts of a home remodeling project. But budget-conscious trade pros can make the most of any flooring budget by taking advantage of the wholesale flooring prices at ProSource® of Pittsburgh. Our showroom boasts an incredible selection of carpet, hardwood, laminate, vinyl, and tile flooring, ensuring that you’ll find a flooring material that looks easy on your client’s eyes and their wallet. 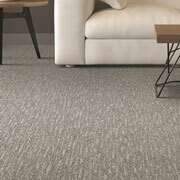 Your homeowner clients will love the feeling of comfort they get from brand new carpet flooring. It simultaneously brightens the appearance of a room while also dampening the noise from foot traffic. Our showroom is filled with carpet flooring in a huge range of colors, patterns, and materials, all at our low wholesale prices. 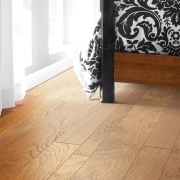 Hardwood flooring has remained a popular choice for homeowners even with the advent of newer materials. It’s timeless appearance and ability to add a refined touch to any room has secured its lasting legacy. For homeowner clients who desire premium hardwood flooring without the premium price tag, trade pros turn to ProSource of Pittsburgh. Advances in laminate flooring have made them into an incredible choice for clients looking for a durable and easy to maintain flooring material that is also affordable. But it’s resilience doesn’t impact its beauty, as it can convincingly mimic other high-end flooring materials like wood and stone. 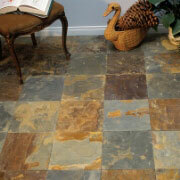 Tile flooring is a beautiful choice for any home’s kitchen or bathroom. It’s water resistant, easy to care for, and can create eye-catching patterns. At ProSource, trade pros will have their choice of a wide variety and sizes of tile made from glass, ceramic, and porcelain, all at wholesale prices. 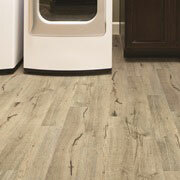 Vinyl flooring has become a new favorite of homeowners for many reasons. 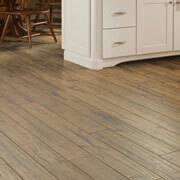 It can look like hardwood flooring, but is more durable and resists scratches, dents, and moisture. While luxury vinyl tile (LVP) and luxury vinyl plank (LVP) flooring are already affordable, on our showroom, clients will enjoy our wholesale pricing on these fine flooring materials.